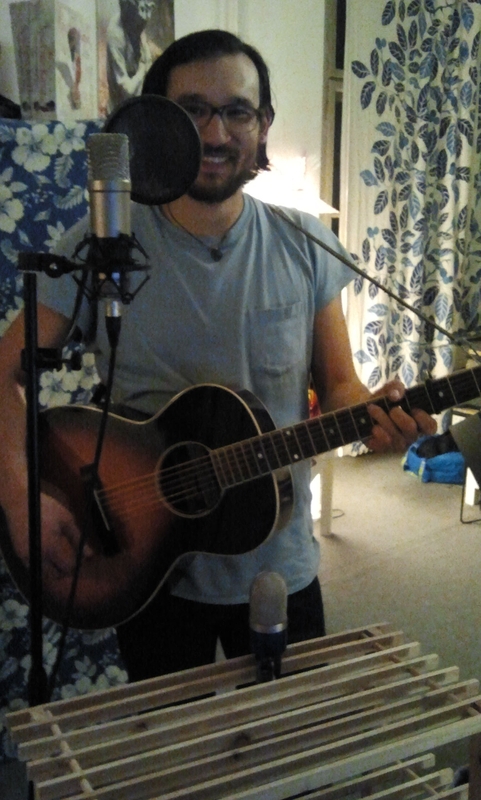 Today Hadl and me recorded the last four acoustic songs for the album. As we didn’t have two microphone stands, we had to improvise a little. So we just took a shoe rack and put the microphone in there. The recording went pretty well and all four songs were done in less than two hours. Actually, I didn’t expect that at all. Of course the takes are not perfect but it just felt right. Next up are the overdubs for all the other songs, like vocals, guitars, organ, piano, and hopefully some more banjo and cello. Henri Parker recorded the banjo for one song and I love it so much! Hope there is more to come. On Monday I’ll be playing in Magdeburg with Mr. Jake Bellows. I am quite curious about that evening and how everything will work out. Had a practice session last evening, played about 20 songs and was damn exhausted after that, as I wasn’t playing that many songs in a while. However, I’ll be prepared for Monday, I promise! !